Recently, Patrick Hogan, Delegate – Division 3; Joseph Cerbone, Assistant Secretary; Ben Guarnieri, Barn Captain – Bennett; and Billy Berardino, Barn Captain – Charlestown; welcomed 41 new union brothers and sisters to the MBTA and the Boston Carmen’s Union, Local 589. Pat and Joe talked to the class about the importance and benefits the union provides as well as a case before the Supreme Court (Janus vs. AFSCME) that threaten these benefits. 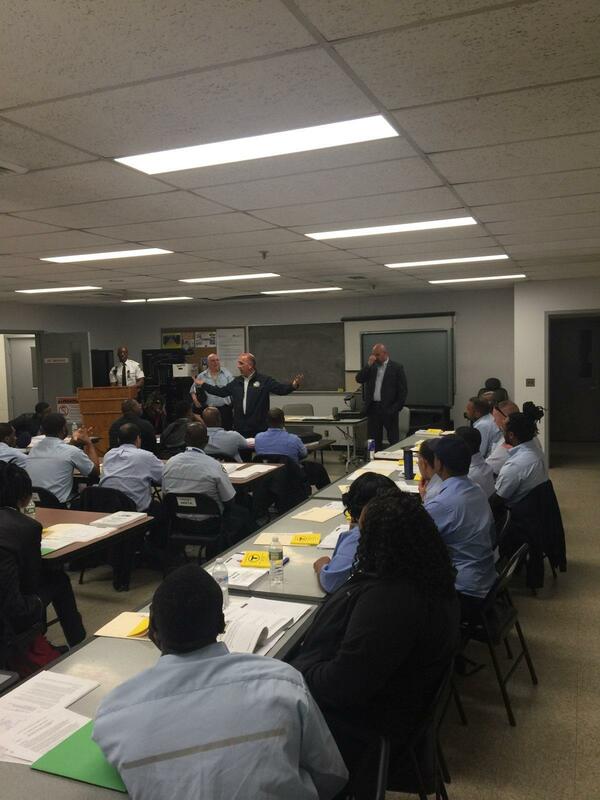 We thank the entire training department, including Superintendent of Training Bill Cameron, Instructor Justin D. Grizey, and Instructor Aaron Guillory, for letting us welcome our new union brothers and sisters to Local 589’s family. First steps, like this, are important for ensuring the future and solidarity of Local 589 by educating our new union brothers and sisters about the benefits and importance our union provides our families and us.